Our real flames have many variations. To get depth and realism we layer two to four colors of kandy. 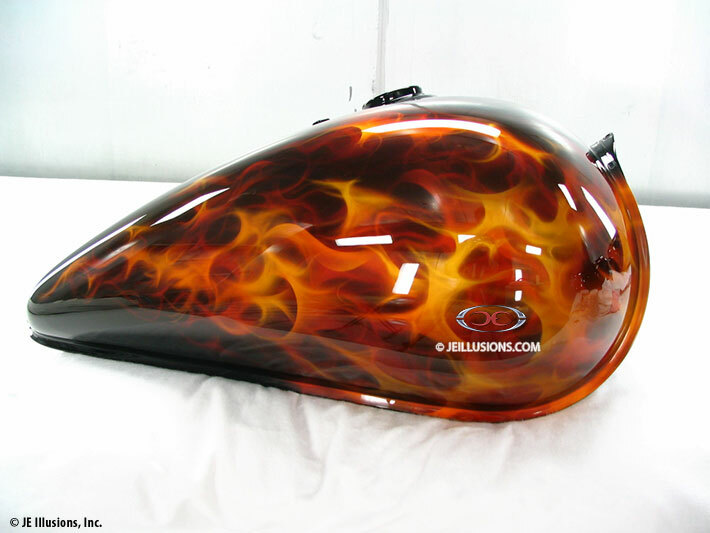 Real flames are best on a jet black base but they can add a great look over many colors of base. The styles can very as well from longer, thinner flames to very thick, robust flames.